Jean-François Hernandez performed his PhD in the laboratory of Prof. Bernard P. Roques (Paris V University, 1987) under the supervision of Prof. Marie-Claude Fournié-Zaluski, where he developed pseudo-dipeptidic inhibitors of enkephalin-degrading enzymes as potential analgesics. Then, he went to the Salk Institute in San Diego as a post-doctoral fellow (1988-1990) under the supervision of Prof. Jean E. Rivier, where he learned solid phase peptide synthesis (Boc and Fmoc chemistries, GRF agonists, CRF antagonists, conotoxins, long peptides). After moving back to France, he obtained a two-years temporary assistant professor position (ATER, 1990-1992) in the laboratory of Prof. Joëlle Paris at the faculty of Pharmacy of Lyon, where he developed SPPS methodology and worked on a project related to immunology. 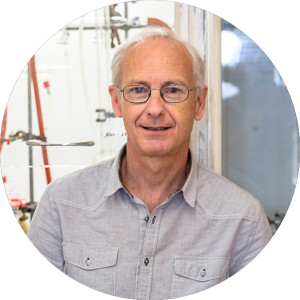 He obtained a permanent research position at the CNRS in 1992 and joined the team of Gérard Arlaud at Institut de Biologie Structurale in Grenoble, where he mainly performed the solid phase synthesis of peptides for fundamental and/or structural studies. He also contributed to the characterization of natural peptidase inhibitors (squash trypsin inhibitors like MCoTI) and of microbial peptidases. In 2001, he moved to the laboratory of Prof. Jean Martinez (Laboratoire des Amino acides, Peptides et Protéines) in Montpellier, where he started to supervise a small group devoted to the development of enzyme inhibitors (pseudo-peptides, heterocycles) with therapeutical interest. Among targets that were or are currently explored: parasitic peptidases (Plasmodium, Leishmania), beta-lactamases, NO Synthases, Cathepsin D, secretases. A second important part of its activity is the development of solid phase synthetic strategies in the peptide/pseudopeptide field. In particular, he developed several strategies for the preparation of arginine- and arginine-like-containing compounds. Vezenkov L. L., Sanchez C.A., Bellet V., Martin V., Maynadier M., Lisowski V., Martinez J.,Garcia M., Amblard M. & Hernandez J.-F. (2016) Structure-activity relationships of JMV4463, a vectorized Cathepsin D inhibitor with antiproliferative properties: the unique role of the AMPA-based vector. ChemMedChem 11, 302-308. Touati-Jallabe Y., Bojnik E., Legrand B., Mauchauffée E., Chung N. N., Schiller P. W., Benyhe S., Averlant-Petit M.-C., Martinez J. & J. F. Hernandez (2013) Cyclic enkephalins with a diversely substituted guanidine bridge or a thiourea bridge: synthesis, biological and structural evaluations, J. Med. Chem. 56, 5964-5973. Peuchmaur M., Lacour M.-A., Sévalle J., Lisowski V., Touati-Jallabe Y., Rodier F., Martinez J., Checler F. & J. F. Hernandez (2013) Further characterization of a putative serine protease contributing to the g-secretase cleavage of b-amyloid precursor protein, Bioorg. Med. Chem. 21, 1018-1029. Nauton L., Kahn R., Garau G., Hernandez J.-F. & Dideberg O. (2008) Structural insights into the design of inhibitors for the L1 metallo-b-lactamase from Stenotrophomonas maltophilia, J. Mol. Biol. 375, 257-269. Hamzé A., Martinez J. & Hernandez J.-F. (2004) Solid-phase synthesis of arginine-containing peptides and fluorogenic substrates using a side-chain anchoring approach. J. Org. Chem. 69, 8394-8402.